The Nobel Prize for Göttingen-based researcher Stefan Hell and his STED microscopy was a milestone in the microscopic exploration of the nanoworld. 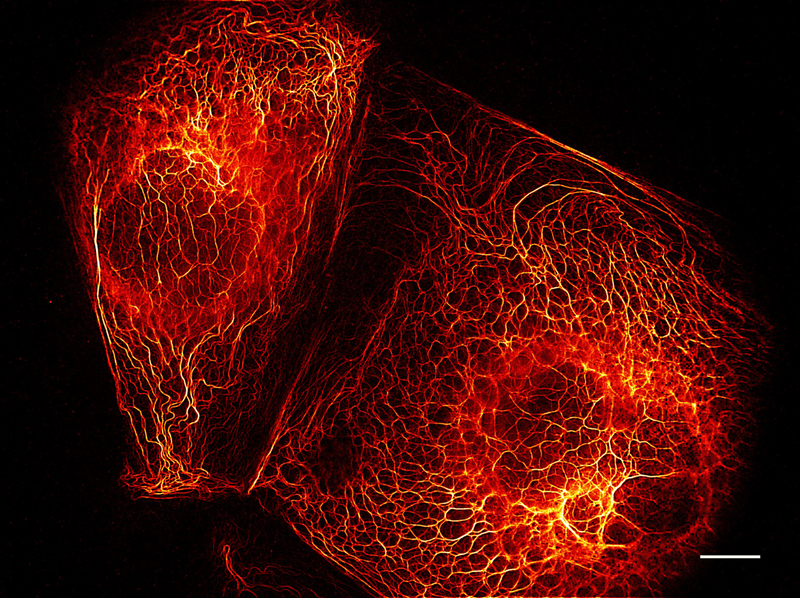 Lasers, switchable fluorescent markers and imaging techniques provide profound insights into living cells. 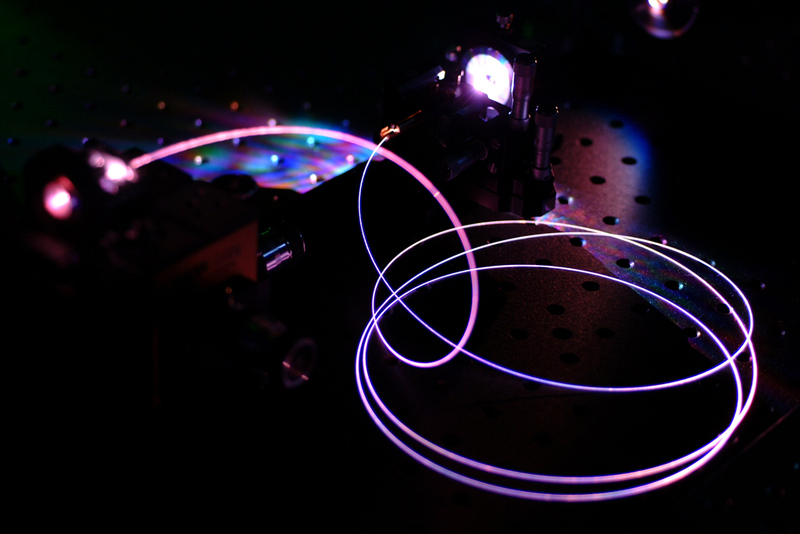 Lasers are al-ready in the process of revolutionizing medical research, diagnostics and therapy. Biophotonics and medical engineering will again be center stage at the LASER World of PHOTONICS from 22-25 June at the Messe München site. Not one but two newly anointed Nobel Prize winners will be speaking at the World of Photonics Congress 2015: the lectures delivered by professors Stefan Hell and Eric Betzig deal with Super-Resolved Fluorescence Micros-copy. The innovative microscopic procedure provides researchers with un-precedented insights into the nano building blocks of life. Using switchable flu-orescent markers, samples can be successively illuminated in nanometer in-crements, scanned and assembled into accurate images by software. Bio-medical practitioners hope to harness nano microscopy to decipher the mo-lecular characteristics of illnesses such as cancer, AIDS, Alzheimer's, and many others besides, to identify points of attack for more effective therapies. The option of observing living cells with the intelligent use of light in resolu-tions of only a few nanometers is taking biophotonics into new realms. Devel-opers are using ever new techniques, from two-photon microscopy and laser scanning tomography via the combination of optical microscopy with Raman spectroscopy or of fluorescence microscopes with extremely high temporal and spatial resolution cameras to conquer worlds previously inaccessible to the human eye. In each case the key to this is powerful beam sources ranging from extremely shortwave ultraviolet to deep into the infrared spectrum. Laser developers are working hand-in-hand with optics, semiconductor and position-ing system developers as well as with medical engineering companies and re-search institutes. The LASER World of PHOTONICS offers a platform for the latest developments. The exhibition focus in Hall B3, numerous Application Panels and the Euro-pean Conferences on Biomedical Optics taking place in parallel with the trade fair make the leading trade fair a showcase for the biophotonics sector, which latterly posted a global annual market volume of 65 billion euros. The laser is and remains a driving force behind innovation in medical engineering, benefit-ing patients and society alike. One example is the treatment of patients with cataracts (gray star), in which femtosecond lasers play a key role. They make accurate incisions only 1.5 mm in length and shred the cloudy lens in the eye before it is extracted by suction through the minimal aperture and replaced by an artificial lens. Such an outpatient lens replacement takes only 20 minutes. In the scalpel era sev-eral days of hospitalization were the norm. 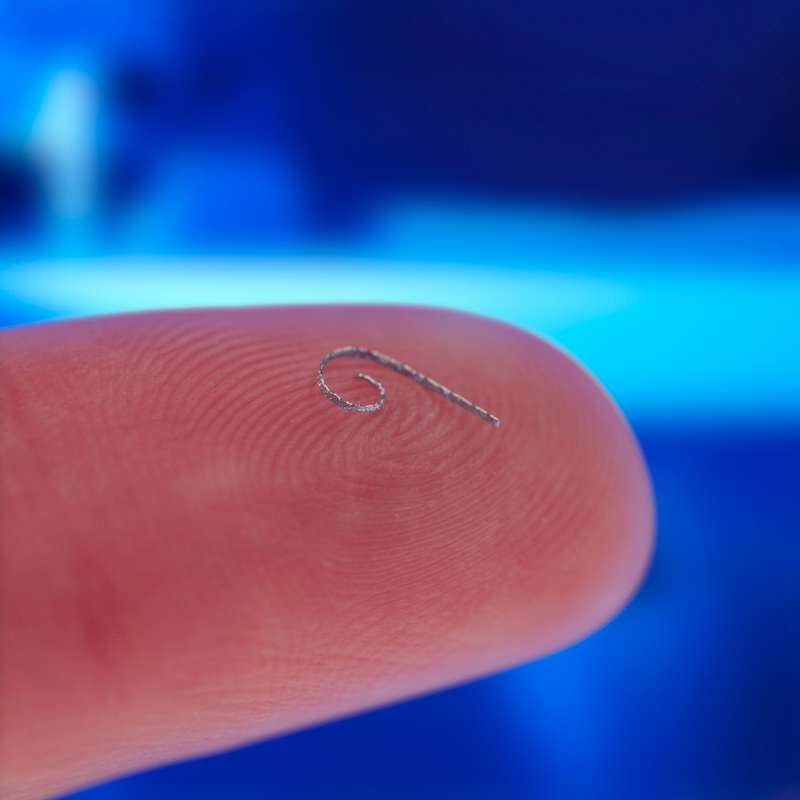 Many minimally invasive operations rely on fiber lasers. Laser probes intro-duced through micro-incisions are used nowadays for removing varicose veins, stomach ulcers and fatty pads. Wherever possible, surgeons, dentists and dermatologists, urologists as well as gynecologists use low impact light treatment, which is comfortable for patients, leaves no scars and rarely results in bleeding and infections. The key to this is increasingly better designed fiber optic cables for the various procedures. Miniaturization, a growing range of fi-ber materials and optical probe tips ensure the required light propagation and intensity in each case. Applications range from the use of lasers to deliver a targeted attack on tumors, which are first enriched with light-activatable sub-stances. Jena researchers are working on making fiber lasers usable for diagnostics as well. The goal is spectroscopic tissue analyses directly within the body in-stead of the taking of tissue samples with waiting times for laboratory findings. The Jena researchers now want to resolve the issue of which fibers and light wavelengths are suitable for which tissues in the digestive tract, blood vessels and organs. Visitors to the LASER World of PHOTONICS can inquire about the status of this minimally invasive tissue spectroscopy in Hall B3 on the bio-photonics research joint stand. Generative manufacturing is now increasingly used to make implants, such as, the electrodes for cochlear implants for the deaf, metallic substructures for dental crowns or artificial joints, to name just a few applications. Lasers use metal powder to build up the customized implants layer by layer in accord-ance with CAD blueprints. Patient body scans are often used in the process as a template. The all-digital manufacturing process cuts costs and ensures a perfect fit of the implants and prosthetics. That means each implant is a one-off. The LASER World of PHOTONICS and the World of Photonics Congress being staged in Munich in June will be showcasing the full range of what la-sers are capable of in this arena.